The purpose of the Creeper Jeepers Gang of Durango is to unite adventure loving people in worthwhile 4-wheel drive activities; to educate its members in the proper manner of all road driving; to protect and preserve the natural beauty and terrain; to participate on a voluntary basis in highway clean-ups, adopt-a-trail clean-ups and repairs, and other humanitarian missions as the community needs; to share good fellowship while operating our vehicles in a manner so as to preserve and protect our land for all generations; and to extend the courtesy of the open road to all. 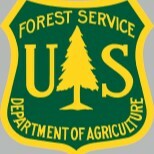 We are members of and adhere to “Tread Lightly” which promotes responsible use of our nation’s public and private lands. As an organized four-wheel drive club we are also members of the Colorado Association of 4 Wheel Drive Clubs, Colorado Off Highway Vehicle Coalition, Share the Trails, and the United Four-wheel Drive Associations, Inc. Together we work for the common interest of preserving four-wheel drive roads throughout the United States. We have been able to enjoy majestic scenery from the deepest canyons and from the tops of the highest peaks, attainable only with four-wheel drive vehicles. We are a non-profit organization that became chartered and incorporated in the State of Colorado in June of 1993. The club was formed out of a desire for all of our wheeling friends to unite and be a stronger voice, just like most clubs do. Chris Stacey, Frank Taylor and Kevin Fox had been wheeling together for about 3 years and had been talking about organizing. Early in 1993 a part time resident of Durango named Byron Dillon contacted someone at Pat Murphy Motors about starting a four wheel drive club and who might be interested. The person contacted was Frank Taylor. So Frank and his wife Sandy made some calls. The decision was made that the official title be the Creeper Jeepers Gang 4WD Club Of Durango, Inc. For conversation, stories, and dash plaques just CJG or the Creepers for short. The first meeting was held at Pat Murphy Motors when it was still located downtown on Second Avenue. The club continued to meet there for the first year or so. Meetings were move to what at then was Durango 4×4 and continued on until the number of people attending the meetings just flat out grew meeting in the shop. A few more places were used along the way until we went to the fairgrounds for at least the last ten years. We had a 2 day Tenth Anniversary event held at Avalanche Ranch in June of 2003. This was our biggest turn out of club members at one event before or since then. 2013 was our 20th Anniversary and we incorporated our annual 4th of July trip to Silverton as part of our celebration. 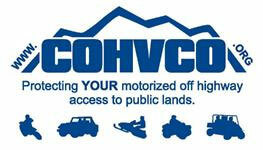 Membership is open to those individuals owning any 4-wheel drive vehicle. It shall be the duty of each member to abide by all of the laws, rules, and regulations of the constitution and by-laws of the Creeper Jeepers Gang. Each member is asked to participate, cooperate, and support the club to the best of his/her ability. And to promote the club in a positive manner with their personal actions while involved in club activities and while operating vehicles with club insignias. As a club, we have many pre-planned local four-wheel drive trips and social get togethers. We also coordinate week long trips to places like Moab and Canyonlands area in Utah, Farmington and Las Cruces in New Mexico, and the Rubicon Trail in California. We are open to all four-wheel drive trucks, from bone-stock to highly modified. Trips are rated according to difficulty, so you know what is appropriate for your vehicle. If exploring scenic and challenging four-wheel drive trails, socializing with other four-wheelers in a family atmosphere, or enjoying a group event sharing laughs and swapping tall-tales interests you, then contact the Creeper Jeepers and join in the fun. Remember, to always Tread Lightly so generations to come may enjoy what we enjoy today. Creeper Jeepers meetings are held at the La Plata County Fairgrounds extension building on the FIRST TUESDAY of each month at 7:00pm, and run approximately one and a half hours. If you are interested in joining The Creeper Jeepers or just want to meet some of the fun and interesting people, come to one of our meetings and see what we are about. Our members come from all walks of life and all ages. They enjoy the outdoors, the camaraderie, and fellowship found in 4 Wheeling. As stated above, we believe in looking, admiring, and driving on to leave it for other generations to admire. We welcome guests at all of our meetings and enjoy talking to everyone after each meeting. For the first few trails, you don’t need to be a member. You are encouraged to join if you like the club and would like to continue attending our events. Meetings are located in one of the meeting rooms in the Extension Office of the La Plata County Fairgrounds, which is the first building on the right on the fairgrounds itself.